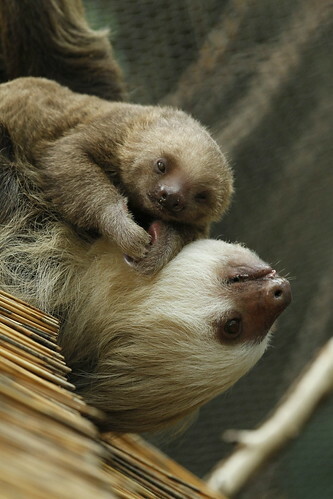 The Hoffmann's two-toed sloth weighs 12 pounds, on average, and can reach 27 inches in length. 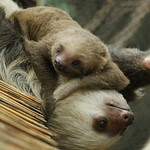 This small mammal has grayish-brown fur, with a pale face; the sloth's hair often appears green due to the growth of a symbiotic algae. This species can be found in Central and South America, from Nicaragua to central Brazil. This species is common throughout its range. 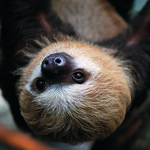 Lincoln Park Zoo participates in the Hoffmann's Two-Toed Sloth Species Survival Plan®, a shared conservation effort by zoos throughout the Association of Zoos and Aquariums. 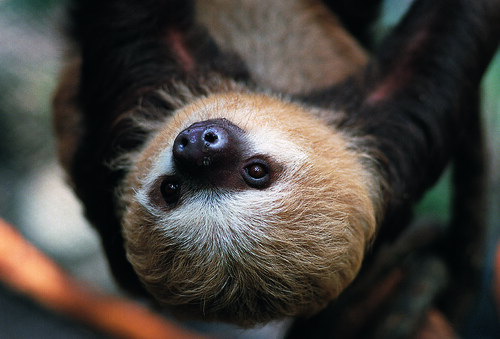 Hoffmann's two-toed sloths occupy tropical rain forests. 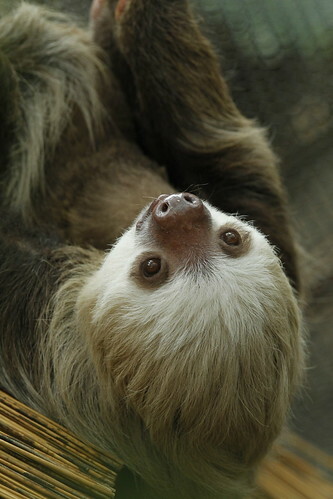 Named for its slow movement, the Hoffmann’s two-toed sloth spends nearly all of its time upside down in the treetops. The species eats, sleeps and even gives birth while hanging from its claws. 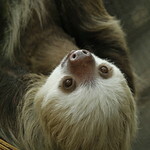 The two-toed sloth is nocturnal, feeding at night on leaves and fruits. Males are solitary while females can be found in groups. 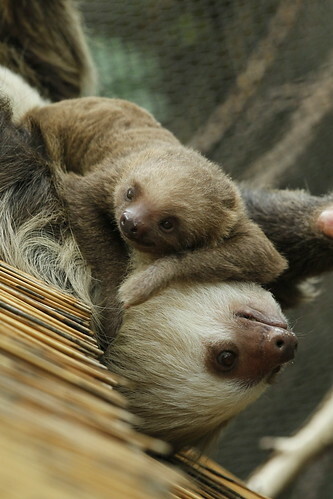 After breeding, females give birth to a single young, which they carry through the forest for up to nine months after birth. Large, hooked claws help the species hang from the treetops of its home. 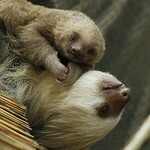 Female Hoffmann’s two-toed sloth Hersey and her little one, born July 25 at Lincoln Park Zoo, eye a sweet treat offered by a zookeeper at Regenstein Small Mammal-Reptile House.